This sign is for Delco Gasoline. The sign’s colors are white, red, and black. 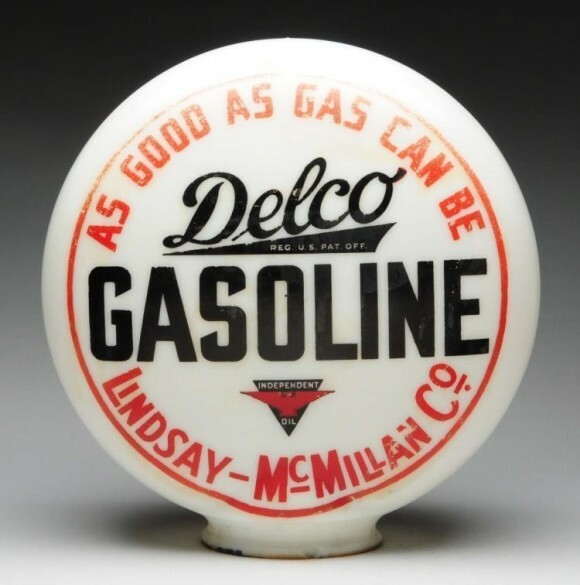 The text on the sign reads: As good as gas can be Delco Gasoline Lindsay McMillan Co. The sign shows the logo in the center with text surrounding.